There’s no doubt that boat window tinting is one of the best ways to improve the look and comfort of your Boat or RV. As you cruse, you’ll find that your vessel is much cooler and more comfortable. 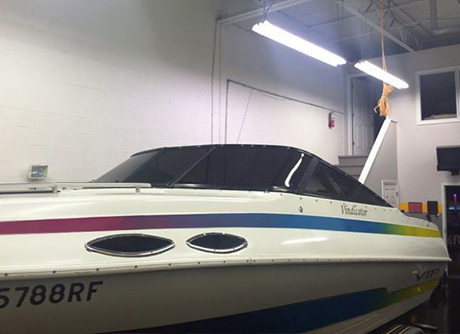 Boat window tinting also makes the glass safer and the interior is less likely to crack or fade. Our professional service technicians are trained for marine window tinting applications and styling services. Boat glass often come with some degree of factory tint although it usually does not supply adequate heat and glare reduction or privacy and does not eliminate harmful UV rays that cause fading. Providing premium and affordable films to our customers since 1993. © Copyright 2016. Darkside Window Tinting. All Rights Reserved. Site designed by Monkeybar Designs, LLC.